As I’ve described in an earlier article, Magic: The Gathering has undergone a dramatic shift in recent years. The story of the game has moved front and center on the cards themselves, depicting key moments in the plot via the cards’ art, gameplay mechanics, and brief lines of story text in a concerted effort to deliver a cohesive narrative to all players. Lately I’ve put off reading the online fiction in order to see for myself how well this process is executed, and I have to say, it works even better than I expected, as I’m able to hold a conversation with those who have been following the weekly story as it is released online. For players who wish to delve even deeper into the lore of the planes of the Magic Multiverse, Wizards of the Coast now offers a series of art books licensed to VIZ Media, each exploring in comprehensive detail the races, cities, regions, and histories of each plane as it is visited in the story line, with lavish artwork depicting the world filling the pages. The books read much like the campaign setting guides published for tabletop role-playing games such as the fifth edition of Dungeons & Dragons, another notable Wizards of the Coast property, and the company has taken advantage of this by offering free D&D supplements for each of the art books, assisting Dungeon Masters in crafting adventures set in the Multiverse. 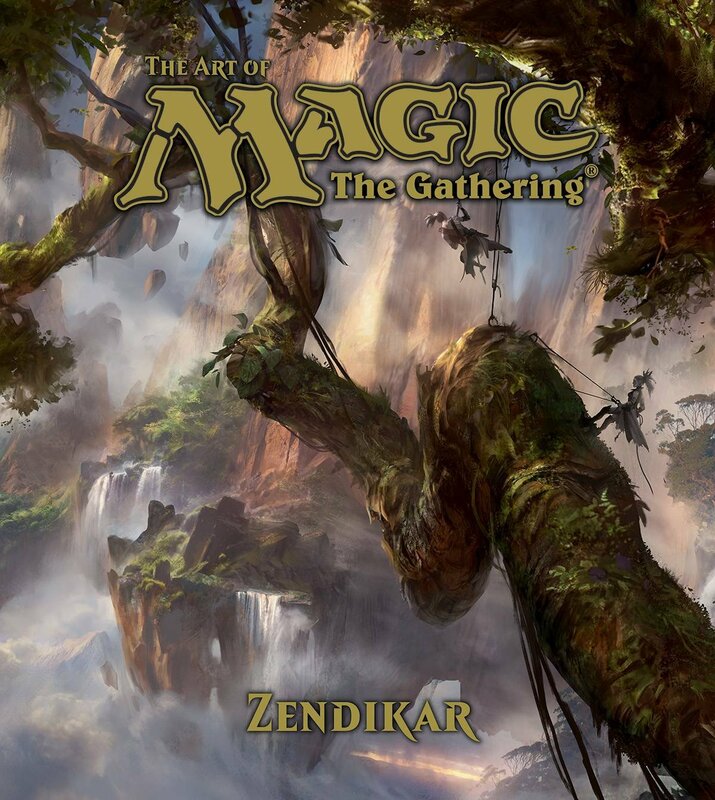 I have recently begun a D&D campaign set on Zendikar, the setting of the first Magic: The Gathering art book, and I am finding it to be a valuable resource, offering a deeper insight into the world than I’ve been able to find elsewhere. It is a plane ripe for adventure. The people of Zendikar must contend with a world ecosystem that threatens their very survival, as nature wrestles to fight off the infection of the primordial Eldrazi titans that are trapped within it, much like a living organism fights off disease. Its “immune system” manifests as the Roil, an unstoppable force of nature that twists and reshapes the wilderness to the point that persistent cartography is nearly impossible in this world. This savage existence has forged a world of survivors and intrepid explorers, like those in my play group’s adventuring party, who venture forth to rediscover what civilization has lost in the wake of the Roil’s havoc. The supplemental PDF, Plane Shift: Zendikar, offers the rules for playing a game on this dangerous plane. Since the release of The Art of Magic: The Gathering—Zendikar, each plane appearing in the story has had its own art book and D&D supplement. 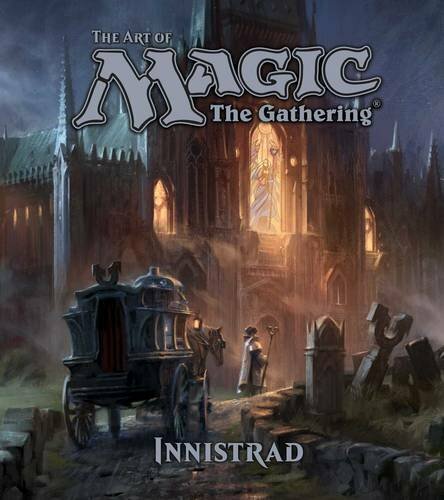 As diverse as the fantasy genre itself, they range from the pristine, invention-filled plane of Kaladesh, where visionaries compete for fame, to the Gothic horror of Innistrad, where humanity struggles against all manner of ghastly enemies. 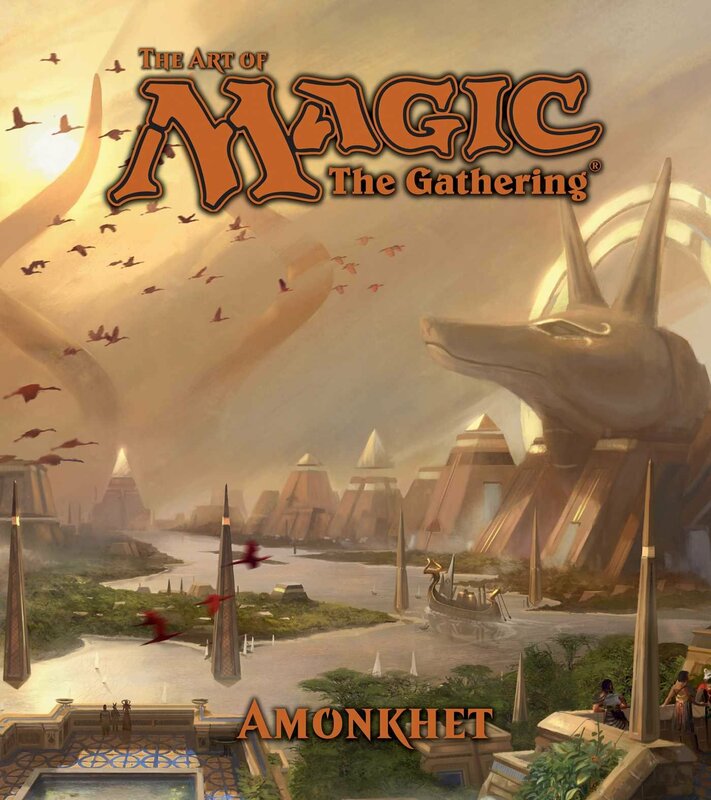 Most recently, the creative team has introduced Magic players to Amonkhet, a plane inspired by the tropes and aesthetics of ancient Egypt, where the people spend their lives training to prove their worth in a series of five trials in honor of the five gods who watch over them, through which they hope to earn an honored place in the afterlife. The newest art book in the series, which came out July 4, is set on this plane, and a Plane Shift PDF was released alongside it. But be aware that the Big Bad of Magic, the elder dragon Nicol Bolas, happens to be the God-Pharaoh of this world, and his arrival in the game’s newest expansion, Hour of Devastation, is sure to usher forth an age of suffering such as the people of Amonkhet have never seen. Sweet! I didn’t know Magic the Gathering had D&D campaigns. I think I would like this more than the actual card game.